That's a pretty solid record. Pressure from whom? They can start him in rochester next season with out issue if they wish. I don't think that's something to worry much about. Too bad. Seems like a great teammate, but it's won't get any easier as he gets older. He's not long for the league. I doubt he would want to come back. Yes, ask around. I was listening to a broadcast recently, I think on TSN. They were discussing him and mentioned how is he thought of as a solid coach well regarded. I'm not saying I agree, but have no reason to disagree. He is very highly regarded throughout the league. Certainly wouldn't be a glamorous pick, but it wouldn't surprise me. He's certainly a big name signing. 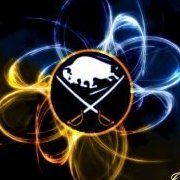 They are two terrible team contracts - maybe okposo might have gotten that contract elsewhere , but Moulson was way overpaid. Jury is out on Pilut. Did the Sabres know he had a problem? Just wondering why he is ok now , did we try to help him? I don't know enough about LA to argue, but they do have quality goaltending , which helps a lot. Just because the Sabres don't know how to build a winning team doesn't mean LA is in the same boat. Hopefully we can get there someday. Who has the best goaltending right now? St Louis? No real shutdown goalie playing right now. Yep, Buffalo is not an attractive destination right now. It's not horrible, but certainly not one people would have as a preference.